Will you trade me your loose figures for my customs? Hi! 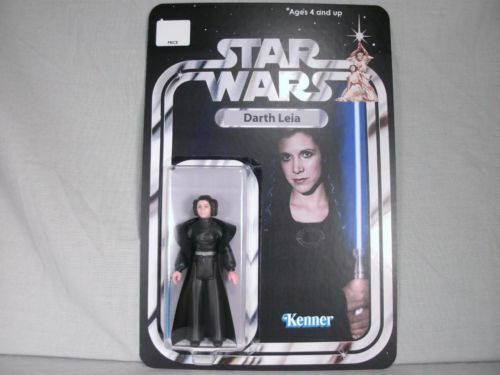 My name is Kimberly and my hobby is customizing vintage Star Wars action figures. I am always in need of low grade loose action figures. I would love to make a trade for more of these for some of my customs so that I can keep creating! mod edit: Uzay custom moc removed as it reproduces a production version. I am just wanting to confirm this since I don't understand having two different usernames. Yes, that is me. Sorry for the confusion. I tried to log in under that username and for the life of me can't! I started a new account that reflects the name of my business. I thought they looked familiar, not sure if I have anything at the moment but is there any you are looking for in particular as maybe we can trade loose figs. Hi Kimberly, I've removed your Uzay custom moc as it sails too close to the wind in being a repro of a previously produced item. You're more than welcome to limelight or trade your custom work on TIG at anytime so long as you're not offering up repros. 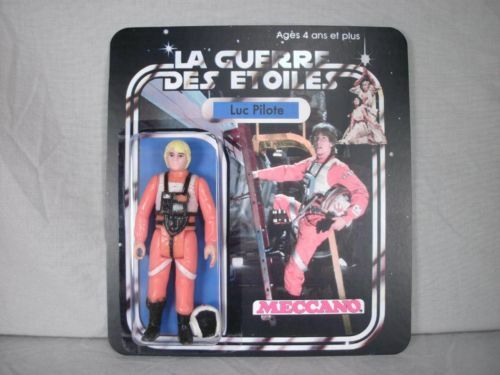 "Custom Carded Figures - Figures that are made of characters that were not production-made (e.g. Carded Aunt Beru) are allowed as long as they have no real counterpart. In simpler terms, people must be able to look at it and know instantly it's not the real thing." Please consider that though you might be honest on these it would be easy for someone to buy these and remove the grade sticker and sell them as carded ungraded. Subject: Re: Will you trade me your loose figures for my customs?